Devon Carpenter, harpist, is a professional Northeast Arkansas harp player providing music for events in Blytheville & Osceola, AR, and the surrounding areas. The elegant music of the harp is the perfect addition to your wedding ceremony, reception, or party. 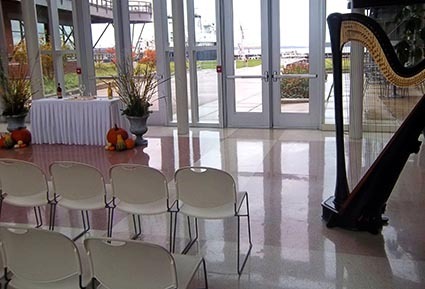 Also available as a harpist for weddings and events in the neighboring areas of Craighead County (Jonesboro & Lake City), Crittenden County (West Memphis & Marion), & Poinsett County, Arkansas; Dyer County (Dyersburg), Lauderdale County, & Tipton County, Tennessee; and Dunklin County (Kennett) & Pemiscot County, Missouri.